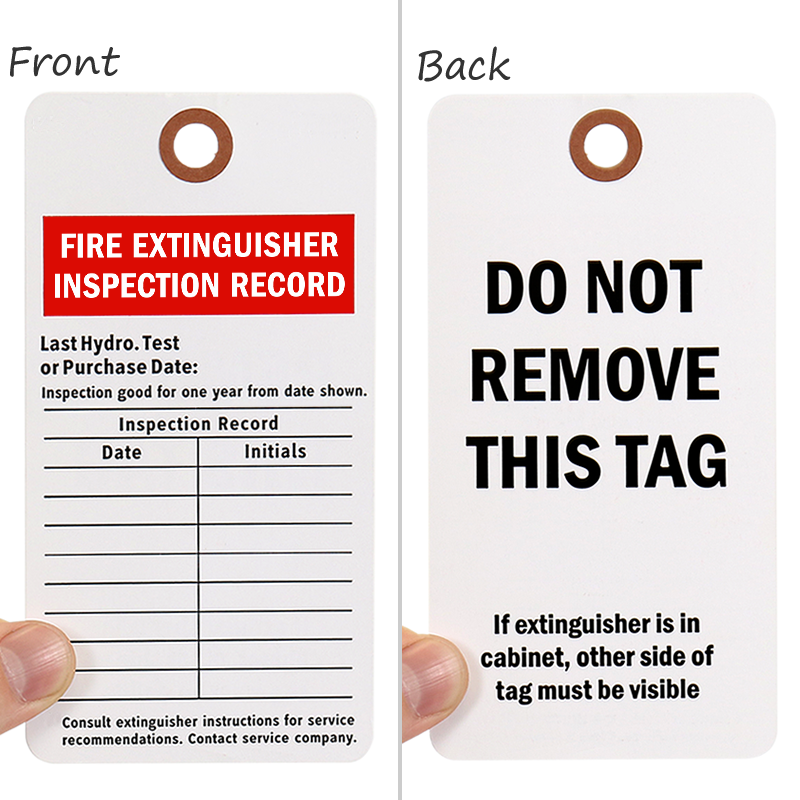 Your Fire Extinguisher needs an Inspection Tag to ensure proper fuctionality--Regular inspections help keep your fire extinguisher ready in case of an emergency. 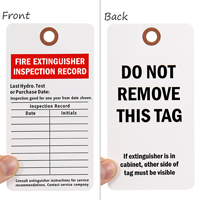 • Economical cardstock paper tag durable, made with 13-point cardstock and a fiber-reinforced patch for strength. 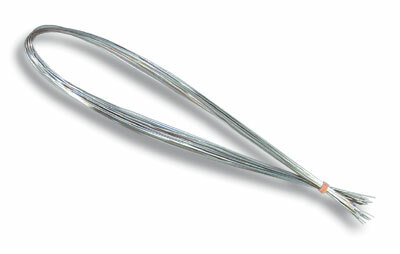 • Rounded corners add professional look. 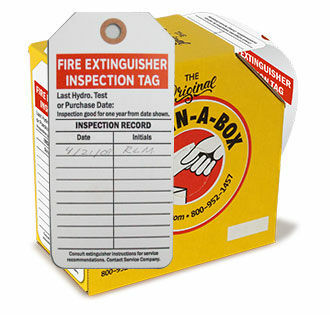 • Keep track of each, periodic inspection; tag notes the date and the initials of the inspector.